Student Success Seminars, College Fairs etc. 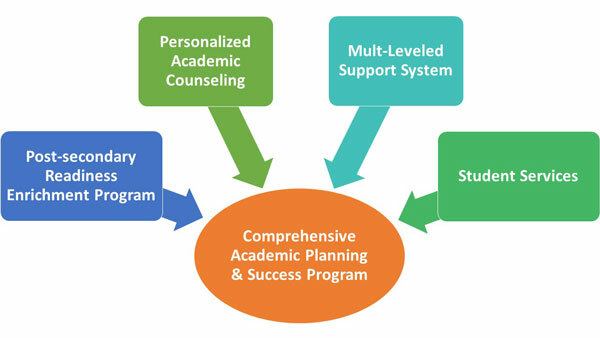 The CAPS Program provides support for students to master course content and ultimately attain their academic goals. The major objective is to EMPOWER students to become creative, independent learners and problem solvers capable of processing and handling volumes of information. 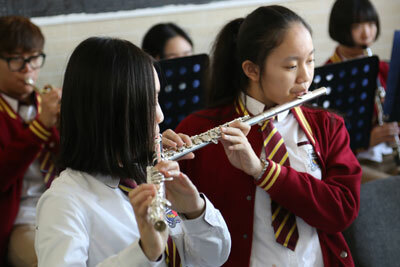 The Fine Arts Department at Saint Paul American School is comprised of Art, Music, and Drama programs. The underlying theme that drives this curriculum revolves around creative expression. Along with student creation, students will also be exposed to a wide variety of multicultural music, performances, and art, allowing them to analyze and respond to unique cultural and historical trends in a variety of forms. 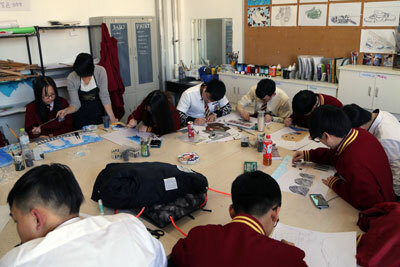 The arts program is dedicated to allowing students opportunities for self-discovery and development, and hopes to foster an appreciation for art in all of its unique forms. Students will leave with a new understanding of art and how it affects each and every one of us. Visit the Student Art Gallery to see student creativity expressed through styles like blind contour, dada collage, charcoal, etc. The modern language program at Saint Paul American School is dedicated to both helping students master a foreign language, as well as introduce them to the subtleties of a culture different from their own. Students are enrolled in two language classes a day, which focus on both oral and written Components. As students progress through the program, courses increasingly focus on HSK (HanYu ShuiPing KaoShi) mastery, including levels HSK 3-6, with the expectation that all graduates will reach the point of both spoken and written fluency in Chinese. In an increasingly globalized world, language acquisition is a necessary step in promoting cultural awareness. 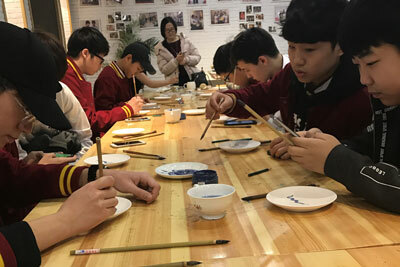 Our unique concept of high school establishes a mutual credit exchange and dual diploma system between Saint Paul Preparatory School in the US, and the Second School Attached to Beijing Normal University. Many graduates continue to study both Chinese and English, recognizing the importance of multilingualism. Spanish is also an emerging curriculum addition that allows students to add or third or fourth language to their skill set. Mastery of Chinese and English language ultimately prepares students to be global leaders in a wide variety of fields; with this goal in mind, the modern language program works diligently to prepare students for professional success in the global community. 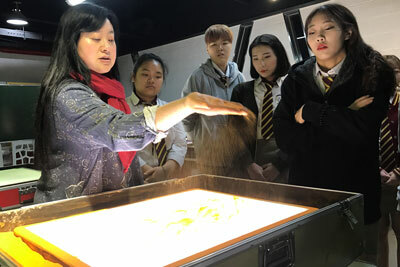 Saint Paul American School has implemented an Experiential Learning Curriculum into the Chinese Language & Culture course. This program has been developed specifically for our students; allowing them to gain valuable real world experience using the Chinese Language as well as learning Chinese history and culture through hands on encounters. All students that participate in this program follow our LEAP format: Learn material, Experience Chinese culture and language in the form of experiential learning, and then Apply and Present this material to their peers.